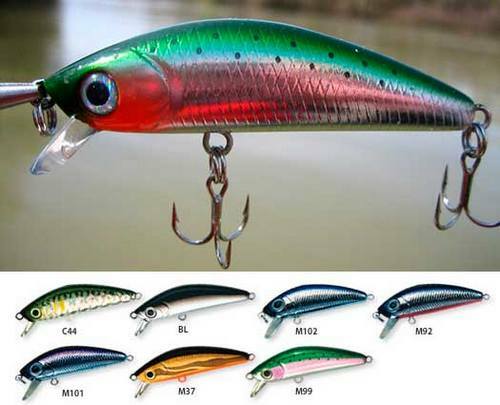 Wobbler is considered to be one of the best baits for hunting pike. Developed hundreds if not thousands of models catchability of this lure. 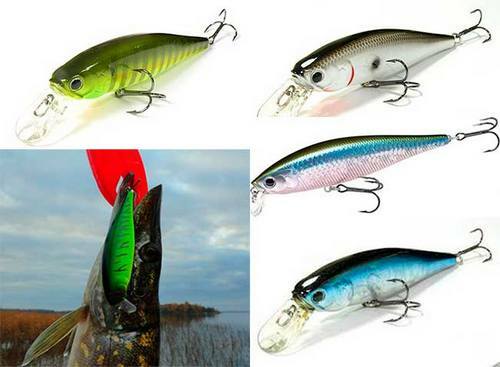 Most crankbaits are designed for catching not only pike but also other freshwater predators. 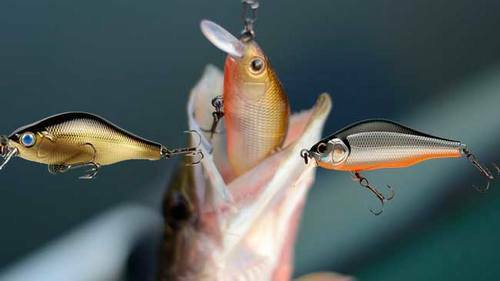 The angler who intends to fish for pike, you need to know is whether a particular Wobbler for catching of a predator and what characteristics are such cranks. Before you buy the bait, you need to know the 10 best crankbaits for pike to pick up their analogues. 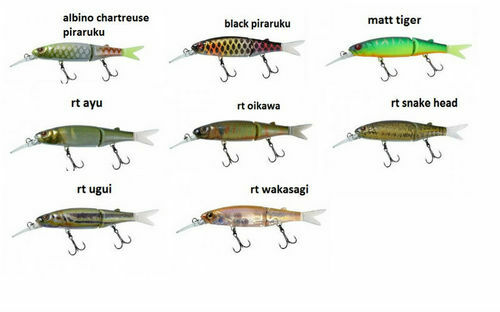 Choosing a crankbait for hunting pike considering the conditions of the fishing season, weather, depth of fishing. in cloudy or rainy day works well Wobbler Golden color. diving (sinking) lure, ideal for fishing predator trolling at great depths. 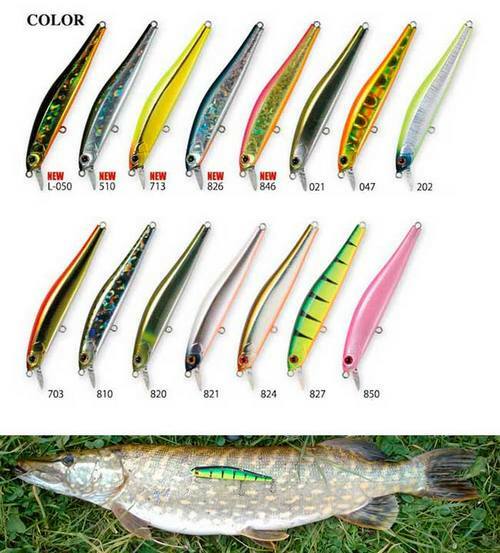 When choosing colors lure fishing for pike the main criterion is the visibility of the lure in the water environment. Spring. Unpromising time for hunting a toothy predator lure. Capture happen on the surface and a little submersible bait in the shallows after spawning and warm water. Summer. A big pike is a favorite place at great depths. Medium and small predator adhere to riparian vegetation and water depths up to 3 m Wobbler is selected depending on conditions of catching. Fall – pike moves to depth. The most promising large deep diving Wobbler that imitates bait fish grown. F – float for fishing on the surface of the water. In the presence of the blade zaglubljajutsja. Pause rise to the surface. FF – fast pop-up. Increased ascent rate. SF – slowly pop up. S – sinking. During pauses gently fall to the bottom. SP – suspender. Neutral buoyancy – do not sink and do not float. SSS – reduced the speed of flooding. SSR – immersed up to 0.5 m.
MR — immersed up to 1.5 m.
DR — immersed up to 2 m.
MDR – immersed, up to 2.5 m.
SDR – submerged to a depth of over 3 m.
XDD – plunges a depth of over 7 m.
The top 10 best crankbaits for pike, firmly confirming their effectiveness, selected from the experience of fishermen, athletes and of course lovers. The price is from 800 p.
Refers to slowly pop up. Built into the case balls increase the range of the crank and diversify his game. Working range approximately 1 M. Transactions – uniform and twitching. 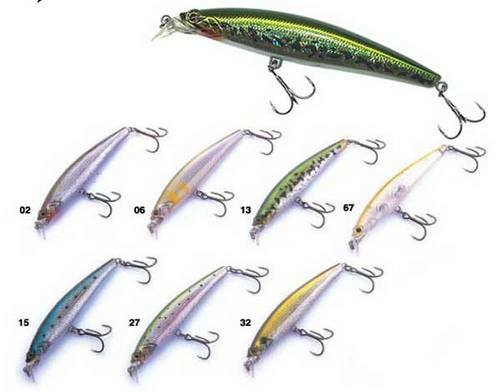 The length of the lure 110 mm, weight 14-15 g.
The price is from 1000 to 1500 RUB. Reproduces the movements of small crucian. Flies away when casting. Works well in oxbow lakes and ponds, as well as for passive pike. It is possible to use on the course. Balance is achieved by using tungsten weight. Posting the best slow, not aggressive twitching or wiring short stops, but works well and at high speeds. A large number of color options simulates both silver and gold crucian. Options – 7 cm, 9.5 g.
Price – from 750 rubles. Universal Wobbler for different waters and fishing conditions. Makes sounds that attract the predator. Pause the vibrations of the lure do not stop. Price – from 900 rubles. Large, well-controlled Wobbler to hunt for trophy pike in the far distance. Excellent balance. Not “stoparic” with the fastest transaction. Used for trolling, light twiching and uniform wiring. All wiring options useful pause. Settings — 11.2 cm, 21 g.
Price – from 300 rubles. Intended to catch pike of various sizes from the shore in the spring. Long-range. The by-catch often caught pike and perch. Perfectly mimics a live bait active oscillation from side to side. Exhibits the properties of suspender — retains depth during twiching. The depth of application of 0.5-0.8 m.
Price – from 600 RUB. To catch a significant predator on small depth. In movement resembles the feeding of fry. Balance is achieved due to the brass weight. Good at even posting and twiching. Pike responsive to a long pause this lure in the posting process. Price – from 600 RUB. Surface. Copies hiding in the upper layers of water fry. Accurately and flies away. Does not cling to the surface vegetation. Wobbler is made from balsa and “injured” his teeth. Wobbler-suspender in two parts. Used for fishing on small places. During transactions, especially for the necessary pause to let the lure to pdfsplit and wiggle my tail. Few colors, all of which catchability. The parameters of the crank — 88 mm and 7 g.
Price – from 650 to 1100 R.
Accurately and far flies when casting. Suitable for spring and autumn hunting for pike. The original game provided by a cylindrical ‘noisy’ weight. Wobbler is used with all types of transactions. Price – from 350 rubles. In the rating are the prices for crankbaits, claiming originality. The Chinese copies cheaper and pick them not so pathetic. 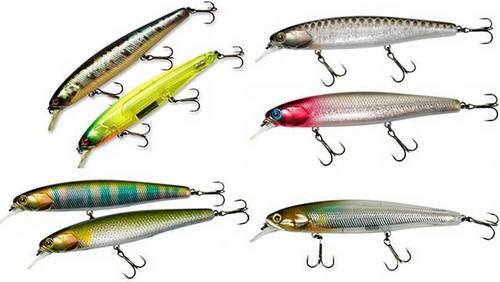 Expensive models of lures worth to buy, only in cases when the angler is sure of their effectiveness is in his hands. This is especially true for beginner anglers. 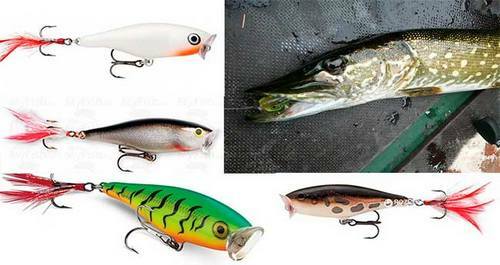 Wobbler, bait is not universal and each model is designed for fishing in certain conditions. A distinctive feature of one of the spinning lure on the other – the constant control over its work from the angler.